Despite persistent drought around the U.S. this year, the grass can still be a little greener. Recent efforts to develop drought-tolerant strains of grass are coming to fruition and providing new options for front lawns and backyards that have been starved for water in many parts of the country in recent years. 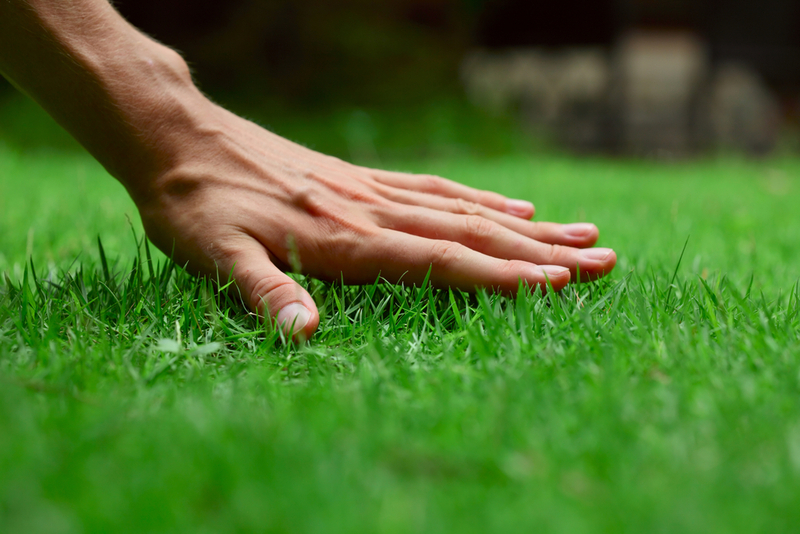 Last year, Texas A&M’s AgriLife Extension rolled out a new variety of St. Augustine grass that requires less irrigation and is expected to be commercially available in 2015. The grass, DALSA 0605, joins others like strains of Zoysia, Buffalo Grass, Bermuda and even Kentucky Blue Grass that are now heartier and can better stand up to drought conditions. Chris Lee, president of Earthworks DFW, says the work being done by Texas A&M, Clemson, Georgia Tech and other universities that specialize in horticulture offers property owners new options to bring life back to xeriscaped landscapes – those yards that have been fashioned with drought-tolerant plant life and dessert-liked décor to conserve water or just survive. What makes the grasses stand tall in drought is how well they emerge from that brown and yellow look caused by dormancy, a natural reaction for any plant life when moisture is absent for prolonged periods. As long as the lawn is established, drought-tolerant turf can penetrate deep into the soil and seek water where other varieties can’t. “It’s just a matter of their ability to survive that dormancy and flush out, truly makes the difference between a drought-tolerant sod and a non-drought tolerant sod,” Lee said. Most recently, turf specialists at Texas A&M’s AgriLife Research center in Dallas unveiled a new variety of St. Augustine that has shade tolerance and long roots that seek deeper sources of water to survive drought conditions. The grass looks much the same as any of the more popular varieties of St. Augustine but emerges dormancy better than others. DALSA 0605 adapts to drought because it is better insulated through their genetic makeup, and thus emerges stronger from long periods without water. Blades will usually maintain their color a little longer while other varieties that are less tolerant will begin to die as drought and heat persist. According to A&M researchers, the grass has shown excellent response to drought stress in Texas, Oklahoma, Georgia, North Carolina and Florida. Just don’t expect the lawn to be that deep green when the water supply turns to a drip.